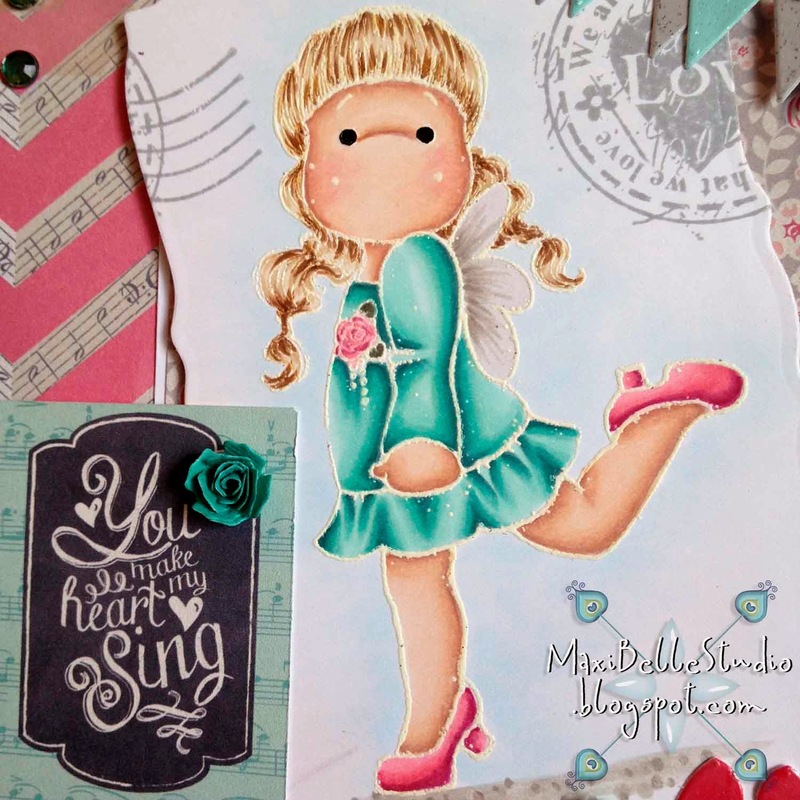 Dies R Us: You Make My Heart Sing! This week's inspirational card I've tried out a new technique! 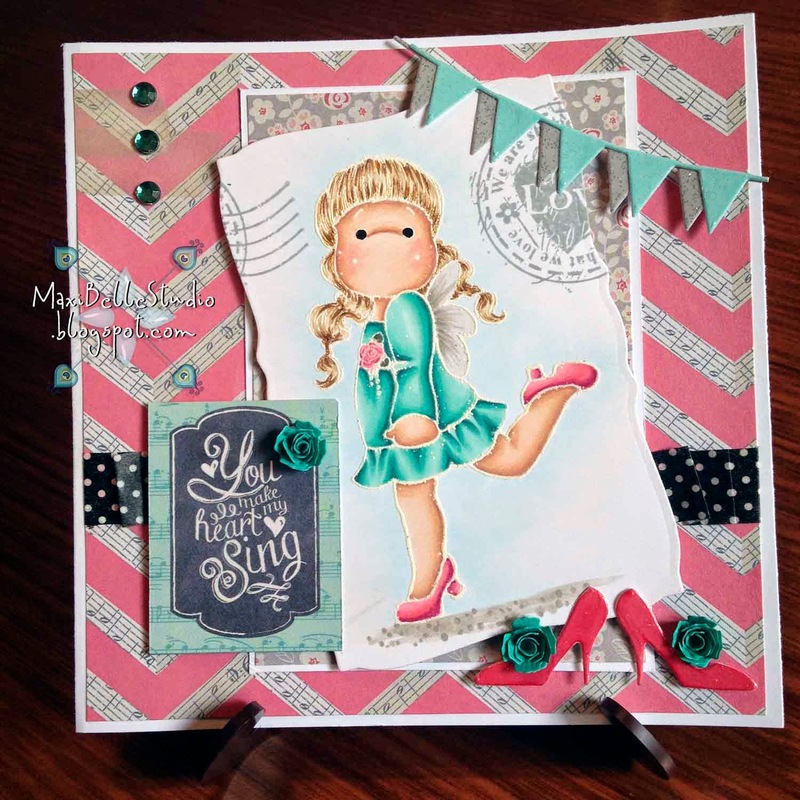 Here is my gorgeous image, which was simply stamped with white embossing powder prior to colouring with Copics. After embossing just colour as normal. I just love this effect! It give such great highlights & contrast. I've frame Tilda with the Spellbinders Curved Rectangles and layered over some coordinating papers. I've ruffled/pleated some black washi tape before layering up. 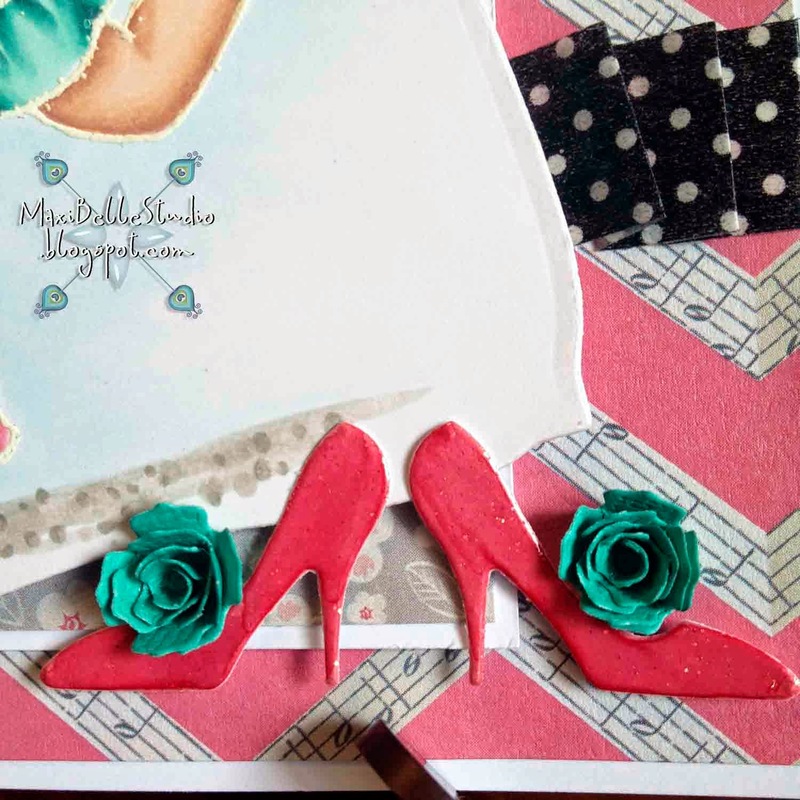 I've used a double cut of the Poppystamps Simple Banner with some glitter cardstock to make the colours pop, and finally I've used the Memory Box Pretty Pumps with one of the Impression Obsession Spiral Flowers to match the image. If you haven't already popped over to join in the fun of our Challenge Blog, our 8th challenge is currently running. The theme is Stitching (real or faux). There are plenty of awesome DT creations from the talented Team A, and it is open until August 28. To be in the running for the $10 voucher at the Dies R Us store just use a die in your challenge entry. Absolutely adorable! Love the white outline effect & your coloring is beautiful! Those shoe dies are a hoot! Love them! !